In a previous post about the massive amount of Viking gear we own, I mentioned that I wanted to transform the second floor of the Stabbur into a guesthouse. Well, I did. It now has four beds and a sitting section aka Viking lounge with a minibar! 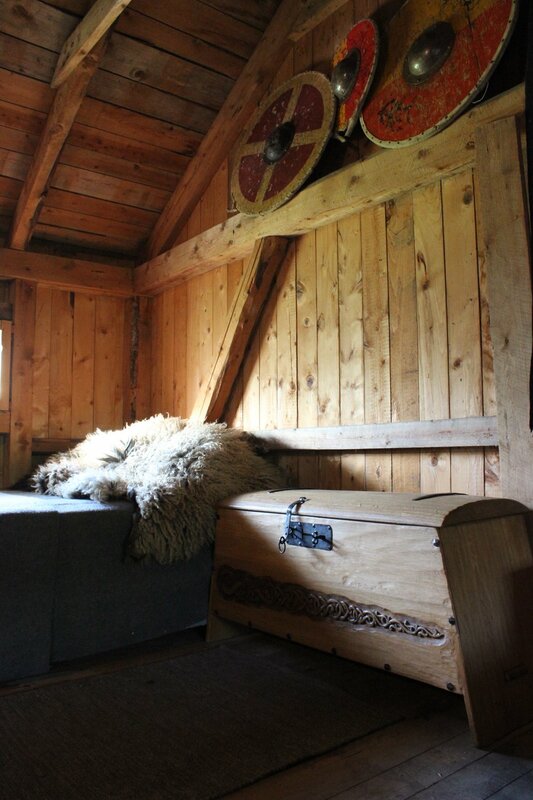 This weekend Rickard's brothers are staying in the Viking crib. They are my test bunnies, and will report on the facilities. We had a really nice evening yesterday, sitting outside in the farmyard grilling bacon and planning todays fishing expedition. The fishing will take place in the lake, just behind our farm.